If you've read the book My Heart is Like A Zoo, you'll probably recognize these little lions made from hearts. We gave the book to Roscoe last year for Valentine's Day, just days before Merritt made his early arrival. It only felt right to incorporate hearts into the theme of his first birthday party. 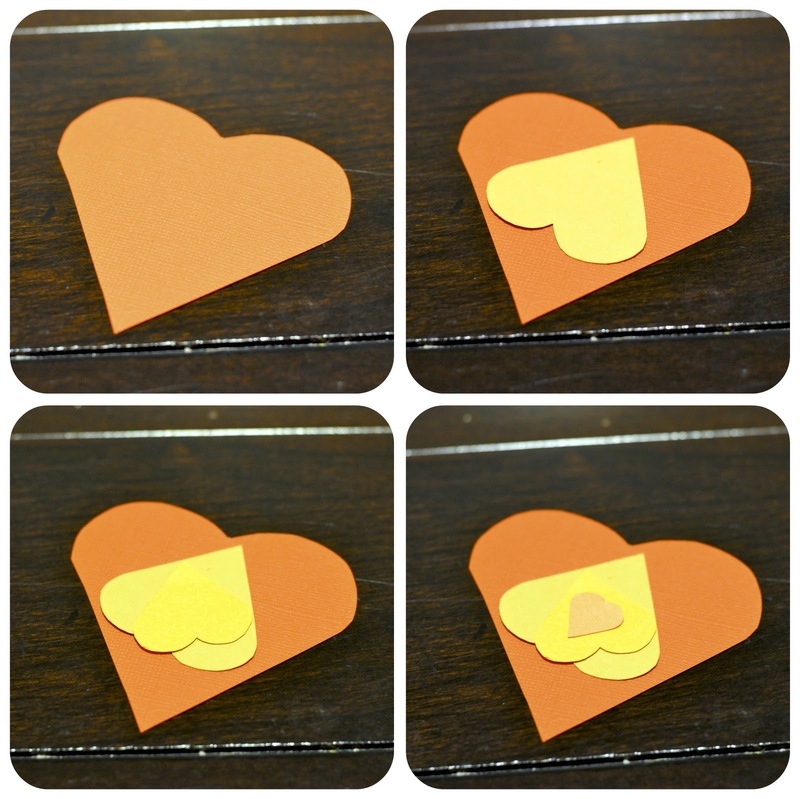 I used Microsoft Word to draw the four hearts in the correct proportions, and then traced the template onto textured card stock of different shades of yellow and orange. After affixing 4 inch lollipop sticks to the backs I had some large hearts leftover and glued them to the back for added dimension. Adorable! So clever and crafty!